Introduction: Several years ago, Storm put their name back in the minds of bass anglers with the debut of their new Arashi line of baits. Headlining this debut was their new squarebill featuring a self tuning line tie eliminating the need to dial in your bait now and then to be sure it was swimming true. We've had this bait since its debut. 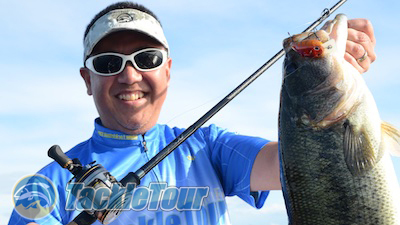 Here now, finally is our look at the Arashi Squarebill Crankbait. Length 2 1/8" & 2 3/8"
Impressions: Storm's Arashi Squarebill is available in two sizes, a "03" and "05". The 03 model measures two and one eighth of an inch (2 1/8") and weighs half an ounce (1/2oz) while the 05 model measures two and three eighths of an inch (2 3/8") and weighs five eighths of an ounce (5/8oz). They are available in the original silent running version and also with rattles through indications on the parent company's website (Rapala) indicates the rattling version has been discontinued. We've been fishing this bait since its debut several years ago. The interesting tid bit about this little bait, of course, is that self tuning line tie. 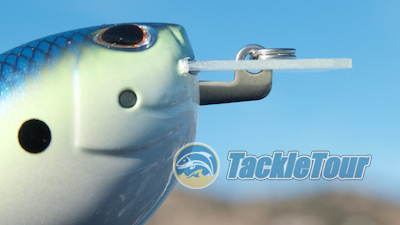 Baits usually have a tie either attached directly to the body of the bait or more commonly, to the diving bill. This tie is fixed. 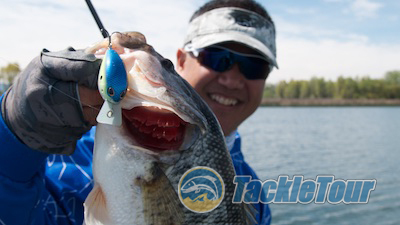 On all the Arashi crankbaits, this line tie is on more of a motion-joint allowing the tie to move around as conditions warrant in order to keep the bait running straight and true. It's Storm's Arashi Squarebill crank! 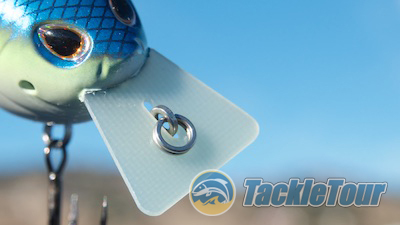 This innovation eliminates the need to test baits out of the package and tweak them if they run left or right, but it also allows the bait to right itself more quickly when encountering an underwater obstruction. This of course, is the primary goal when throwing a square bill crank - to bounce it off structure and trigger a strike. Available in two sizes, we only fished the 3' diver. Real World Tests: I've had this bait for a number of years so it's seen the end of the line on several different rods and reel combos all of which are too numerous to list in this article, but you can get a hint of them through all the photos. I used an equal variety of fishing lines but when it comes to shallow cranking, I prefer a fluorocarbon line somewhere around eight to twelve pound test and usually Sunline Shooter, Sniper, or Seaguar Tatsu if given the choice. Featuring a circuit board lip, the secret with this bait is in that line tie. Castability: My experience has all been with the 03 sized Arashi Squarebill crankbait in the original silent configuration. Because it's silent, this 1/2 ounce bait does not have that internal moving balancer system common in the majority of plastic crankbaits. 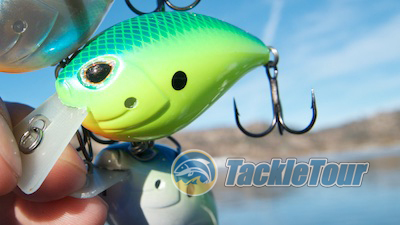 Nevertheless, it casts very well and assuming you're dialed into your rod and reel combo, this bait is easy to place accurately where you want. It extends out from the bait underneath the diving bill.